Here at Rock Bridge Trees we are all about roots. Tree quality is our top priority and you can’t have a quality tree without having quality roots. We live in a very visual world and roots tend to be out of sight out of mind. Since we don’t see them often, we don’t consider them as important. 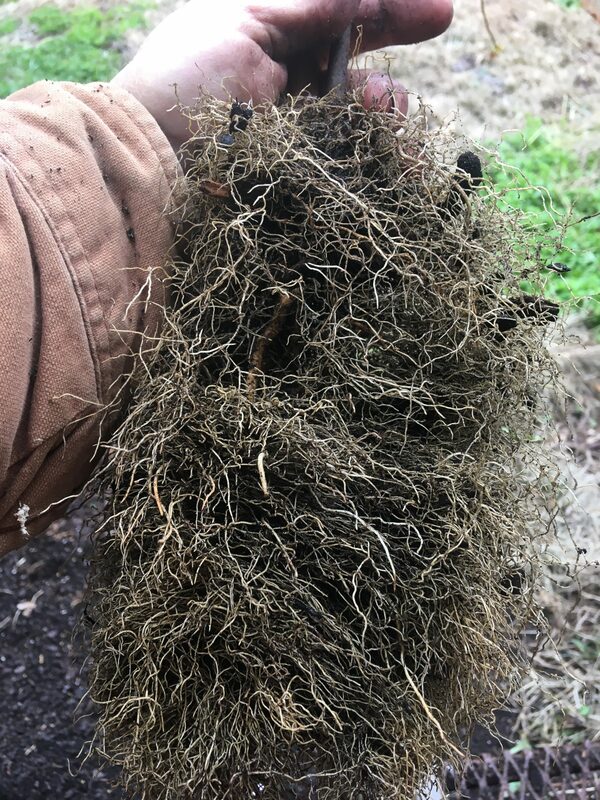 The reality is, roots are equally important to plant health as leaves. When a tree seed germinates, it produces a root first. Some trees sprout in the fall and the root grows slowly all winter, sometimes for 6 months before the trees sends up its first leaf. Roots take up the water and minerals a tree needs to provide its structural integrity. Photosynthesis takes carbon from the air and minerals from the soil and creates the sugars and enzymes needed to continue growth. 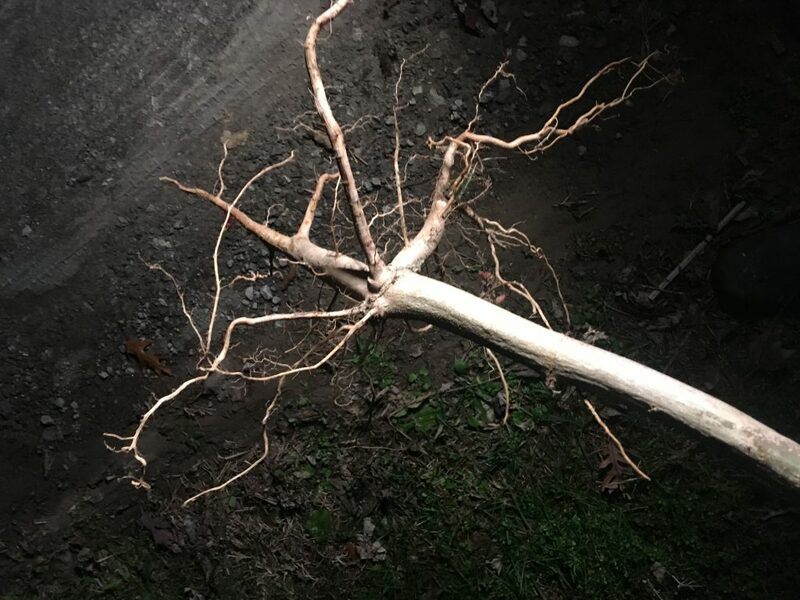 Roots also form complex relationships with soil fungi to break strong chemical bonds in the soil that allow the tree to use those chemicals for its needs. 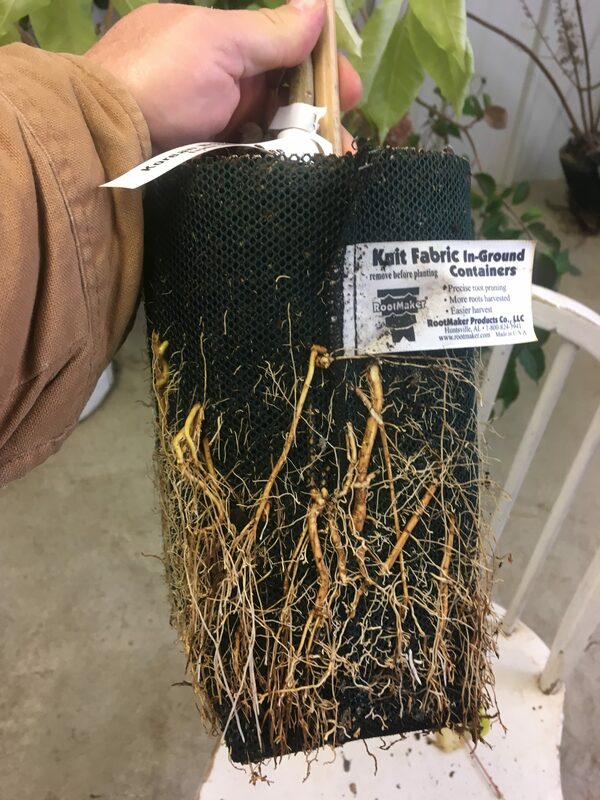 Trees grown in a root pruning container like the rootmaker® containers we use here, gently encourage the tree to make many more feeder roots than it would in the ground. As you can see below, a young tree in nature puts most of its root energy into anchorage with large structural roots. A container tree with lots of feeder roots will be more able to feed both top growth and build those anchor roots once planted. 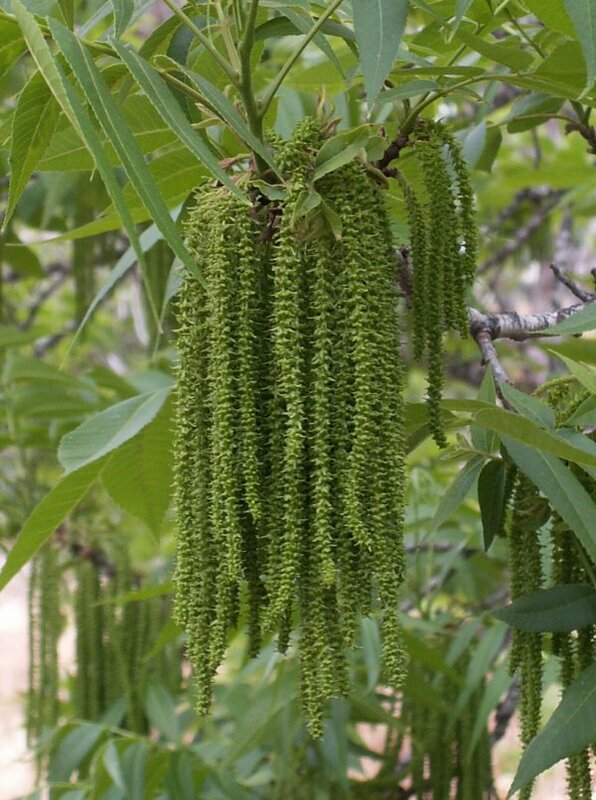 A tree with plenty of feeder roots may bloom and fruit at a younger age than a bare root tree. There are no guarantees but, it sometimes happens. With proper care after planting, establishment of a new tree is much easier with a root pruned tree. There is less stress since there are thousands of root tips ready to grow into the surrounding soil. 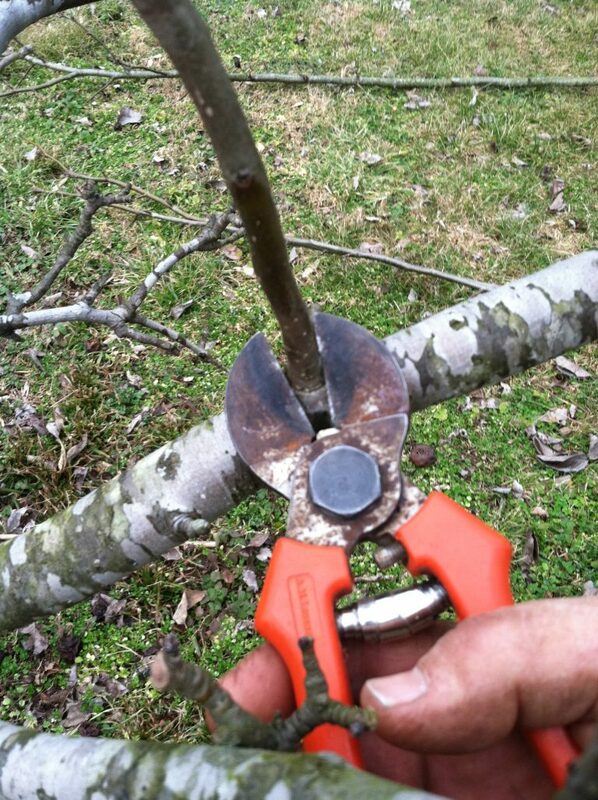 As with any new tree, temporary staking and proper watering will go a long way toward success with a new tree. 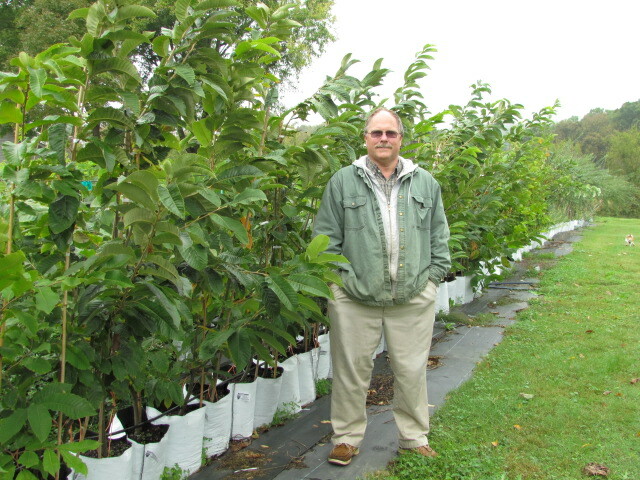 Follow this link to our pecan planting video https://youtu.be/GELorec4nWc These planting instruction work for any tree.